You may have a break-neck schedule or to you, the definition of health is about toning up your muscles in the gym. Still, are you missing something that is closely related to your overall health and hygiene? Well, it is about your oral health. 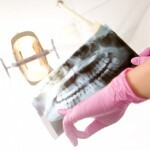 Did you ever have problems like tooth decay or gum disease, but ignored those completely? Remember, if you keep ignoring these issues over a period, they would eventually weaken your tooth roots. You need not worry though, as treatments like dental implants can easily restore the strength and shine of your teeth. Your natural teeth are supposed to last long. However, because of persistent issues such as gingivitis or tooth decay, your tooth roots may have weakened substantially. This situation may lead to missing or damaged tooth. In such a scenario, dental implants prove to be the best alternative to your natural teeth. Dental implant surgery by specialists can surgically position a titanium post into the jawbone, below the gum. It would be worth mentioning here that high-grade sterile titanium is similar to the material being used to make NASA’s space shuttles! So, it can give you an idea about the sustainability of implants. Traditional, tooth-supported dental bridges last merely five to seven years, whereas dental implants often last more than 10 years. After that period, you may need to replace it with another implant surgery. Such periodic adjustments can make your teeth last a lifetime, and you will be able to eat, speak, smile, and smile naturally. Moreover, you need not feel uncomfortable in public, or embarrassed because of missing teeth. In this context, one important thing to remember that to get dental implants, you need to have adequate bone and reasonably healthy gums. On top of it, post-implant, maintaining oral hygiene and regular visits to specialists would ensure the success of this treatment. Did you know that in the countries like Australia specialists perform thousands of dental implant procedures every year? Out of these, a large number implant surgeries are carried out on the lower and upper jaw. The high success rate of implants make this procedure a reliable dental treatment option and quite popular among people who seek to improve their oral health. In terms of statistics, the success rates of dental implants have been pretty impressive compared to any other medical procedure. Despite that fact that the success depends on where in jaw the implant is done, the overall success rate is about 98 percent! You may have this question crossed your mind, “Is it right for me to go for an implant?” or “Is there any age limit for undergoing this treatment?” Well, the answers are “Yes” and “No” respectively. It has nothing to do with your age, rather your current dental hygiene and lifestyle are decisive here. If you have a healthy gum and enough bone to make the implant last long, a qualified and experienced dentist can easily perform dental implants. If you have ever heard that implants are not effective for older people, don’t believe as it is just a myth. The fact is that this dental treatment procedure is equally effective for both aged and younger patients. Regardless of whether you are 15 or 85, you can get a dental implant as long as your mouth is healthy. Cavities Are Now Things of Past! Yes, it’s true! If you have an implant, you won’t get cavities. Since the implant is done using an artificial material, it is not going to decay like your natural teeth. However, it’s still important to maintain day-to-day oral hygiene like cleaning the gums and teeth. It is important to remember here that before undergoing an implant you should be free of gum disease and decay. If any active gum disease exists prior to surgery, your dentist may probably refer you to a specialist who can treat that condition first. 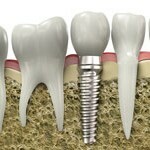 When it is under control, you can subsequently go ahead with implant placement. Any active gum disease can interfere with your ability to heal after the surgery. Cavities would not occur in a replacement tooth or implant-restored crown. However, you need to visit a dentist to clean and care of your mouth and gum, just the way you would maintain natural teeth after going through an implant surgery. 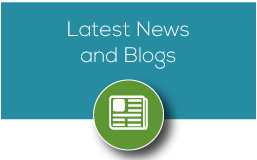 These are two treatment options that you need to know if an implant is on the cards for you. By implants, removable teeth are either removed or fixed permanently. 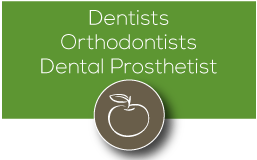 The terms “removable” and “fixed” implants are used because the methods followed are different. In the case of fixed implant, specialists use using zirconia that is considered the toughest material in the dentistry world. Use of this material looks, feels, and functions like a natural tooth. You can clean the teeth just like way you brush natural teeth with fluoride toothpaste. On the other hand, the removable implant is done to remove and replace on your implants. Besides the factors mentioned above, dentists also take speech into consideration, and which dental treatment out of these two will be suitable for you. It is because teeth are a key aspect when it comes to oral function, and speaking comfortably with dental implants is one of them. Many people think permanent teeth implant is better due to their close resemblance with natural teeth, though both the treatments are not starkly different. Regardless of which type implant is performed, dentists need to ensure that that the teeth fit in the area perfectly they have been designed to fit. How Can You Find the Best Dental Implant Surgeon? This is perhaps the most important question that you have in your mind, and for the right reason. Despite the high success rates of dental implants, they largely depend on the expertise and experience of your dentist. A reputable dentist will ensure that you can derive the best results from this dental treatment procedure. This is why, first you need to find a specialist who is reliable and has a proven track record. However, the very first question that crops up is where do you begin? Considering this treatment requires a specialist, you need to look for a cosmetic dentist instead of a regular dentist. 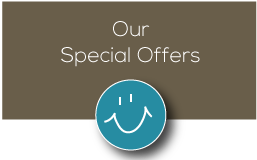 When finding the best dentist for your implant surgery, family, friends or colleagues can be a good source, especially if someone of them has already undergone this treatment, and can recommend you a dentist. Besides, you can also browse the Internet for a well-known cosmetic dentist or a clinic. In fact, it’s an effective way of finding a specialist as you can check the reviews of the dentist and make an informed decision rather than believing the shoutouts of every company. How much experience the dentist has when it comes to implants? Is the dentist qualified enough in implant dentistry? Does the dentist have a proven track record of treating a number of dental implant patients successfully? Will more than one dentist be involved in the implant procedure? Is anesthesia used to make the process painless? 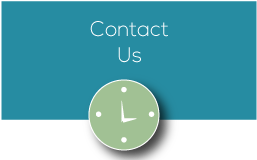 How long does the entire dental implant procedure take? Can the implant slip or fall out? Is there any flexible pricing structure that you can afford? Besides implants, what other types dental treatments the dentist offers? Does the dentist or the dental clinic got high ratings and reviews by patients? Apart from getting answers to the above questions, it is important that your dental implant surgeon is willing to listen to your concerns and opinions. A dentist who is willing to explain you the implant procedure in an easily understandable way is important as it will ease your nerve. If you, for example, live in and around Brighton, QLD, AU, reputable dental clinics like Central Dentists Brighton can take care of your dental issues. When consulting this company, you will also get the benefit of dental implant surgery at your home by an in-house surgeon. When you consult an expert dentist, you need not worry about the success of your implant. In addition, your dentist can also easily manage the needs of regular check-ups, braces, mouthguards, and false teeth. In addition, the dentist is likely to guide you on maintaining your teeth after implant through brushing, rinsing with antibacterial mouthwash, and flossing. As stated earlier, ask your dentist as many questions as possible to clear your doubts related to dental implants or any other aspect of the treatment. Go ahead and get an implant to have a life free from any tooth problem. On top of it, your sparkling smile will be the icing on the cake! Why Do We Need Dental Implant Surgery? What Are the Benefits? Implants vs dentures – how to choose? 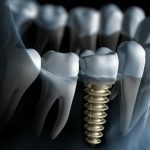 Dental Implants, Are They A Good Option For Missing Teeth?